Matcha is all the rage. From smoothies to beauty remedies, it’s found in juice bars and menus all around town. Even die-hard coffee fans are starting to convert from coffee to this earthy tea. That leaves me with the question: what’s so special about this green powdery tea? 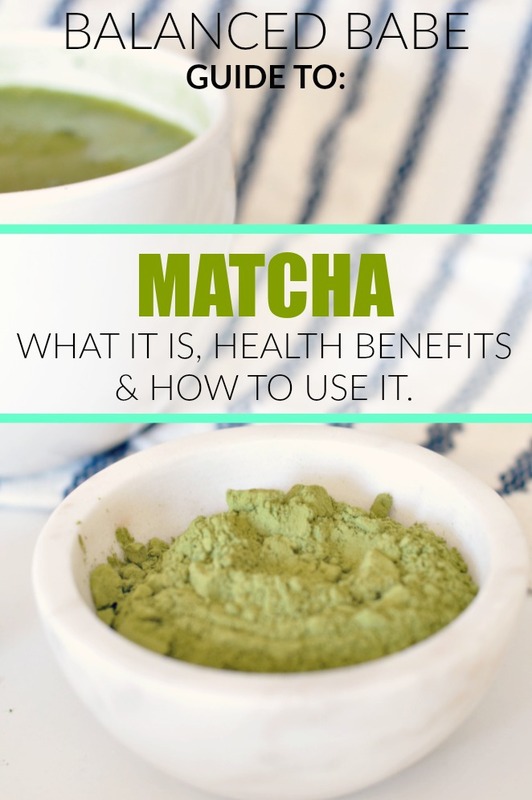 To give a detailed answer, I created a complete guide for how to use matcha, it’s health benefits and more. Hailing from China and then making its way to Japan, this tea has been used for hundreds of years as an aid to meditation practices. Since this tea comes in a powdered form, it is typically stirred into hot water with a bamboo brush and then enjoyed the same way as any tea. Unlike green tea, matcha tea makes use of the entire tea leaf. Matcha and green tea come from the same leaf, but the difference is that matcha is the entire leaf ground up. 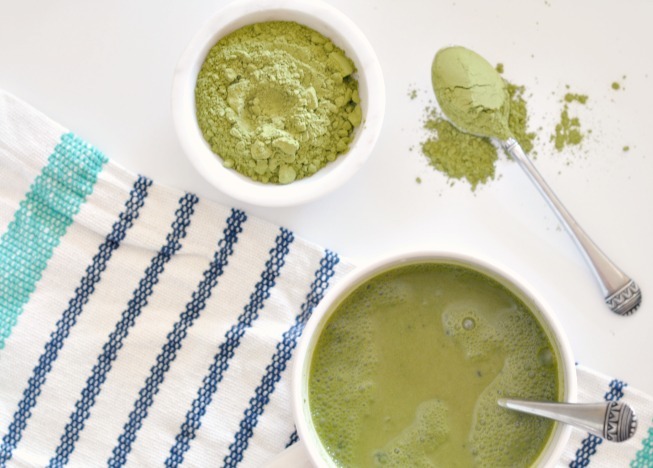 Because matcha makes use of the entire leaf, it contains a slew of amino acids, vitamins and minerals that regular green tea cannot provide when consumed. From powerful antioxidants that have potential cancer fighting properties, to helping your skin glow, this tea is the king of green tea. It contains vitamin C, selenium, chromium, zinc, magnesium and additional trace minerals. Oh and it has promising studies that support its potential weight loss benefits as well! 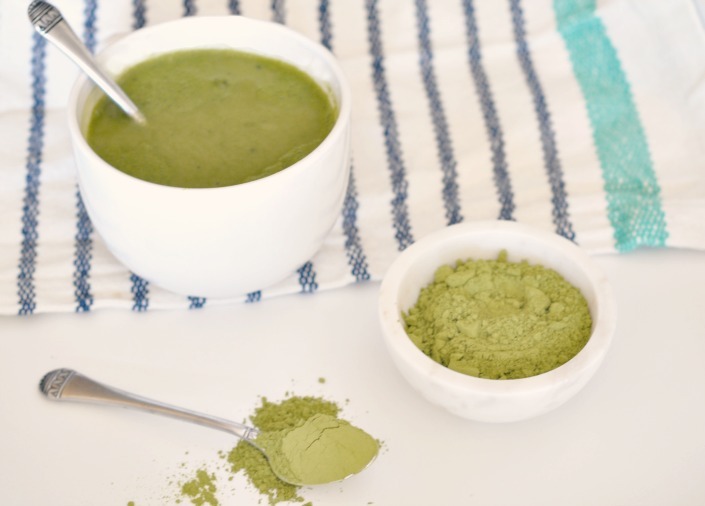 Matcha is oozing with powerful antioxidants, including EGCg: Researchers at Tufts University discovered that this powdered green tea possesses an amazing twenty times more antioxidants than pomegranates or blueberries. It contains a potent type of antioxidant called catechins, which are hard to come by in other super-foods. The most popular type of catechin that gives this tea major health boosting power is EGCg. EGCg is an extremely potent antioxidant that protects us from free radicals like UV rays and pollution that leads to cellular damage. Contains polyphenols that may help fight cancer: To expand on the benefits of EGCg even more, it’s included in the polyphenol group, which some evidence shows that it may protect against cancer. This study also shows that that matcha contains 137 times the polyphenols than green tea. Helps us burn calories and boosts metabolism: According to sources, matcha helps us burn calories without the addition of an increased heart rate or blood pressure. A study from the American Journal of Clinical Nutrition found that it increased our own rate of burning calories, clinically called thermogenisis, by 35-45% from the average 8-10% of the daily expenditure. Another study showed that the catechins in green tea lowered subject’s BMI, body fat mass, and waist circumference compared to the control group. Contains chlorophyll that helps us detoxify: Chlorophyll is a property that gives plants and tea its beautiful green color. It is also a wonderful detoxifier and “body deodorizer”. 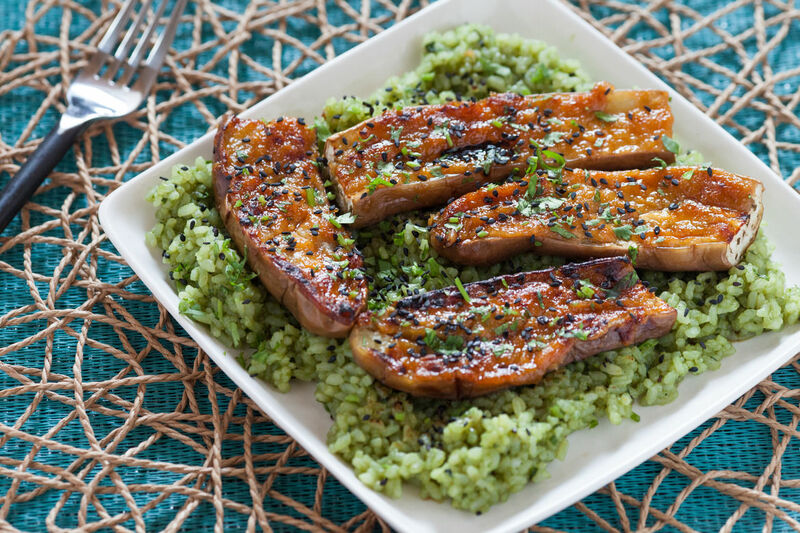 When we consume chlorophyll, it works in our system to detoxify us from heavy metals and some studies show that it helps our liver function optimally as well. Improves concentration without the jitters: One cup of matcha tea can have three times as much caffeine as a regular steeped cup of tea. Some believe it has around the same caffeine levels as coffee. It also contains an amino acid called L-Theanine that helps us feel relaxed by interacting with how our brain functions. It actually has up to five times more of L-Theanine than other popular teas, which may be why it’s so common with Monks and their meditation rituals. This amino acid also is favored by those who want alertness without the jitters because it inhibits side-effects from caffeine. Beauty benefits: The antioxidants found in matcha tea may also help us keep our skin clear by lowering inflammation in the form of blemishes. It can also protect us from oxidation damage which accelerates skin aging. Lowers cholesterol: And last but not least, this powdered green tea can also help us lower our cholesterol! 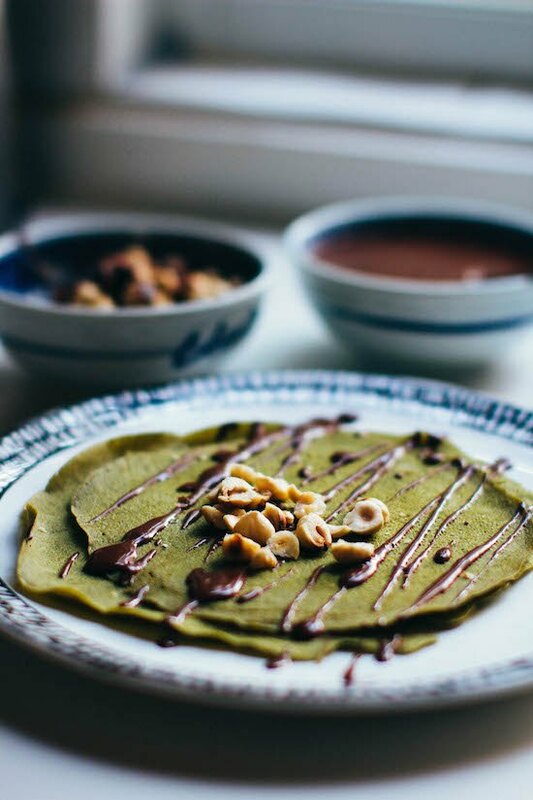 People aren’t just drinking matcha now, they are baking and cooking with it too. 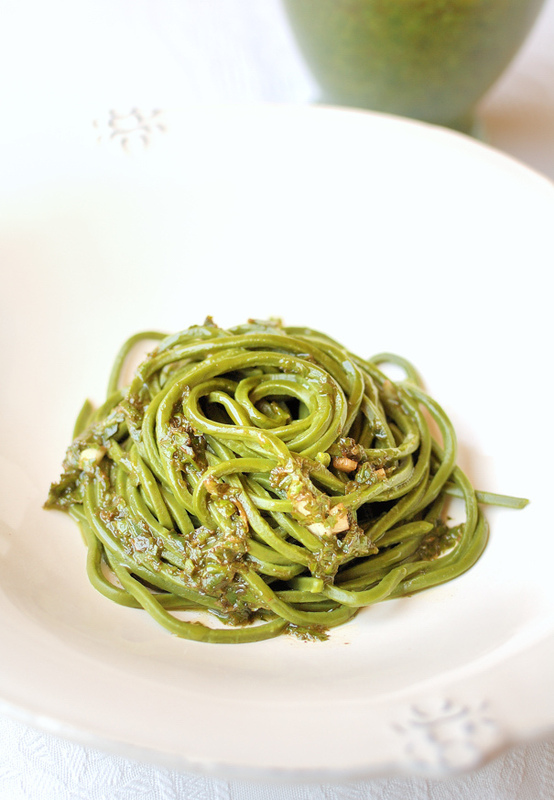 Chefs are creating muffins, cakes, and all sorts of matcha recipes. I do want to point out however, that consuming cake or a recipe that uses it as a flavor additive will most likely not give you the same benefits as consuming the tea simply brewed. With that in mind, the flavor can still be addictive and I’ll definitely be creating some recipes with this tea in the near future! Until then, I’m sharing a few recipes from some of my favorite sites if you can’t wait until I create some on here! Make sure you read labels because some brands may be sweetened for flavor, or have added preservatives or additional ingredients that act as “fillers”. For example, the matcha latte at Trader Joes is primarily powdered milk and sugar, far from the 100% tea that we want for benefits. Find brands that are 100% organic like Encha or Grace Matcha. As with all foods, there can always be side-effects and potential concerns. There is potential for matcha tea to contain lead. When regular green tea is brewed, the majority of the lead stays in the leaf which is not consumed. With this type of tea, the entire leaf is consumed. Therefore you may ingest lead. Experts recommend that only one cup a day is a safe amount to consume and you should not serve it to kids. And as always, this article is only for educational and entertainment purposes. This is not medical advice and should not be perceived as medical advice. Please consult with your physician before you add new foods and ingredients into your diet. Previous ArticleNutritional Yeast: What The Flip Is It? !